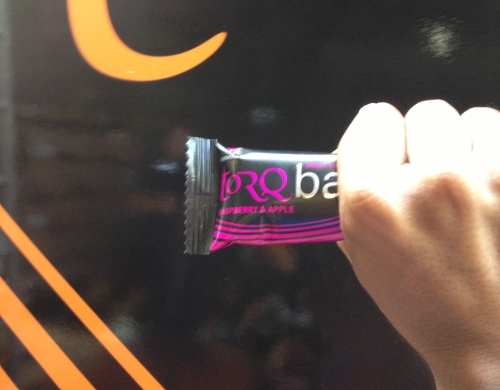 Since we’ve had a few requests for easy-open TORQ bar packaging, we thought we’d demo the technique. 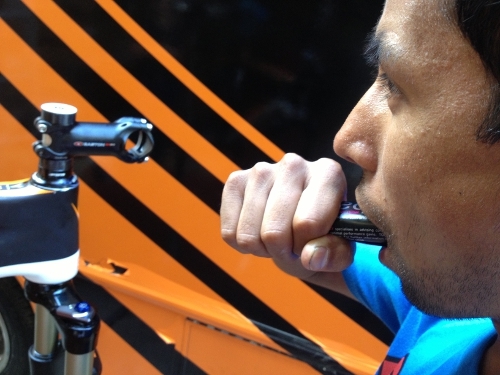 Opening a TORQ bar with one hand whilst riding couldn’t be easier and there’s no need for packaging any fancier than we already have. 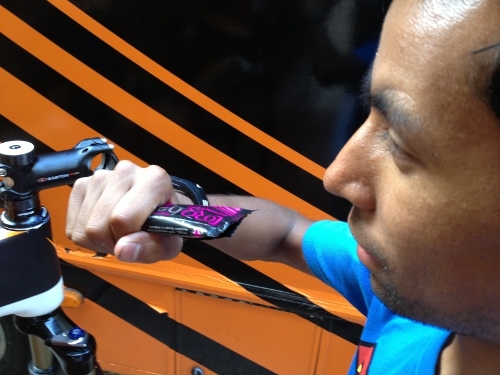 Therefore we thought you might appreciate a little technique lesson on how to open and consume a TORQ bar whilst on the move. Our beautiful model is Ajay Pudit, TORQ MTB team rider and Nepali National Champion. Step 1: Firmly grasp the bottom of the bar with one hand and squeeze it so that all the air within the wrapper forms a swelling at the top end of the bar. Step 2: Put half the bar in your mouth (including packaging) and bite down hard. You may feel the seal at the top of the bar packaging pop at this point. Step 3: Draw the bar out of your mouth whilst gripping the packaging with your teeth. 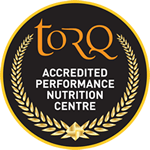 The seal will give way and you’ll end up with half a TORQ bar in your mouth. 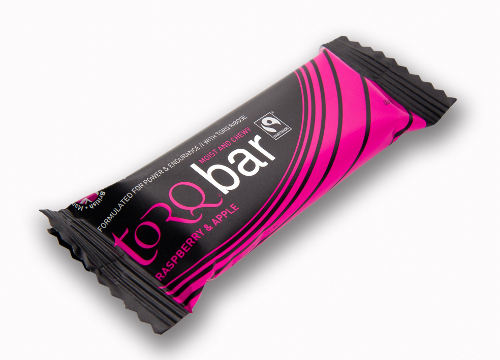 Step 4: Chew and enjoy and then consume the remainder of the bar from your opened TORQ bar package. 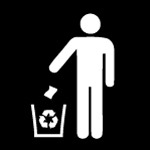 Nice and simple eh? 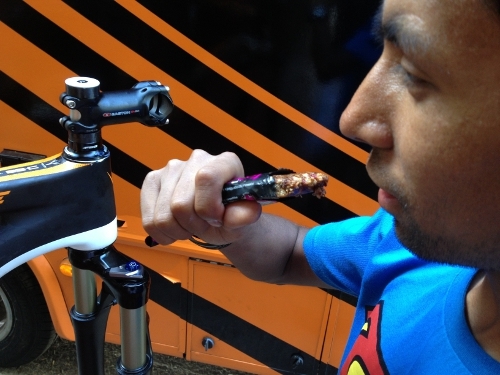 The only time you may not wish to adopt this technique is if your TORQ bar wrapper is covered in nasty grunge, because it might affect the flavour somewhat! Below is a photo of Ajay in full swing at the recent Marshbrrook Schwalbe Marathon (photo care of Jon Brooke).